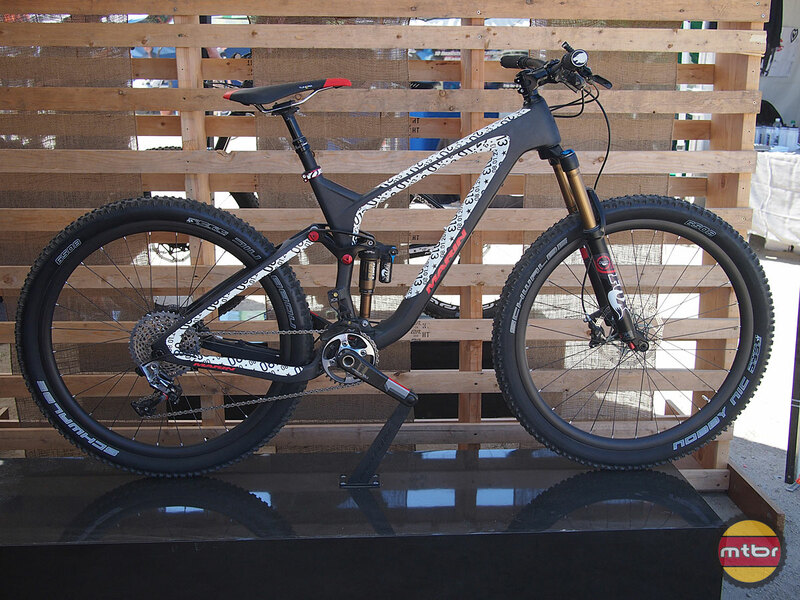 Mark Vanek gave Mtbr a sneak peek at the 2014 Mount Vision and Attack Trail 27.5/650b bikes. New changes for the 2014 Mount Vision, include a carbon frame and swing arm platform, 27.5 inch wheels, IsoTrac suspension system, 140mm travel, internal cable routing system, tapered steerer tube, a backswept seat mast, and bottom bracket plate system. 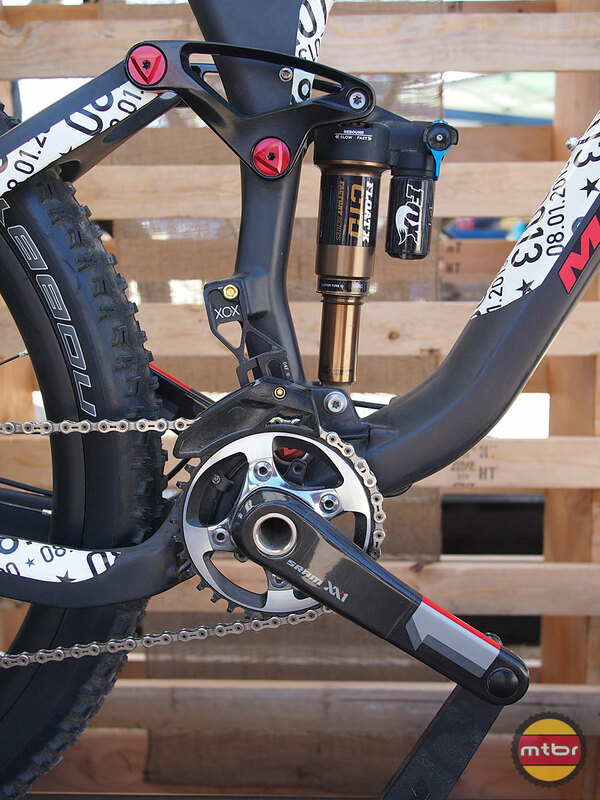 This bike has been designed for faster xc, trail and enduro racing. The All-Mountain, Enduro Attack Trail all-mountain bike also gets a new full carbon frame set, 27.5 wheel platform, internal routing system for brakes derailleurs and dropper seat posts, and a backswept seat mast. 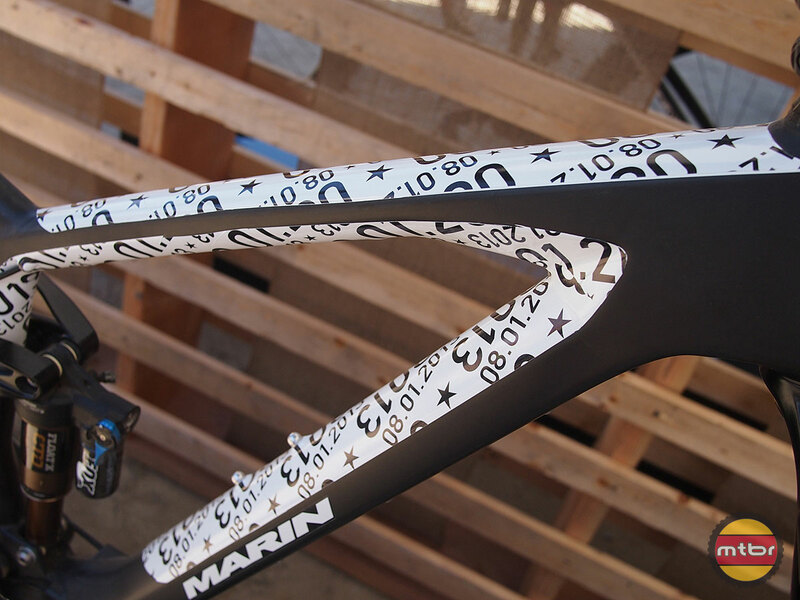 The models at Sea Otter had special prototype only cover graphic with “08.01.2013” on them, the official release date of the new bikes! The 2014 Mount Vision gets some major updates next year, including an all-new carbon frameset and the jump up to 27.5″ wheels. 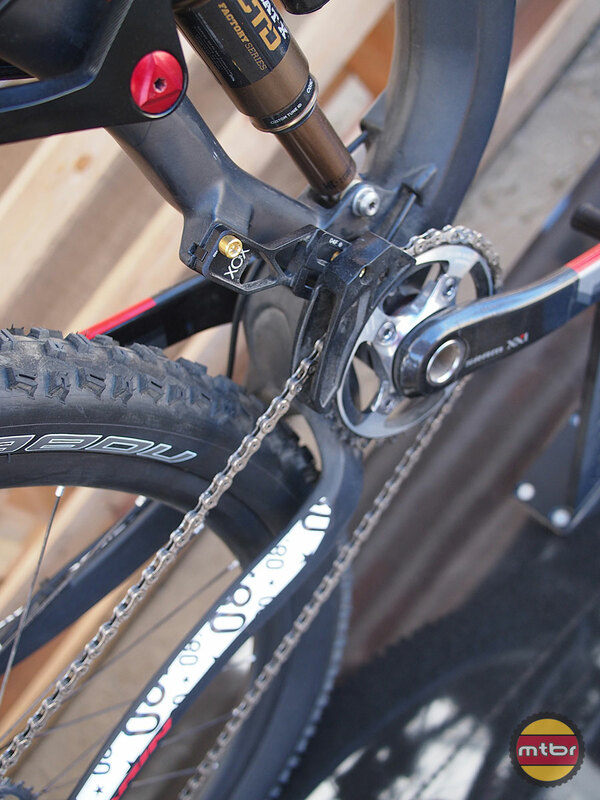 The bike will be aimed at the XC/Trail rider and Enduro racer wanting a light weight bike with a bit more travel. Mount Vision acheived this with the development of the carbon frame as well as a new suspension system, called IsoTrac. 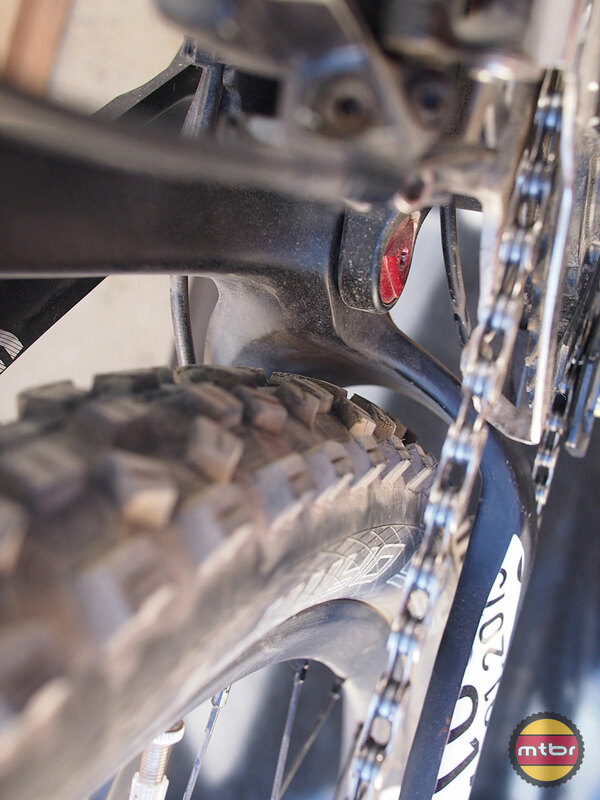 The principle criteria of IsoTrac was to have a suspension similar in feel and kinematics to Marin’s Quad Link design, but with less weight and moving parts. To achieve this the system still relies on a linkage-driven shock up top to provide a gradually rising-rate design like Quad Link, but with a single pivot member making up the lower assembly. To maintain an active rear end under braking, two flex zones are engineered into the seatstay portion of the swingarm to allow the rear axle to rotate. Geometry will consist of a 67.5Deg Headtube angle and an effective 74Deg Seat Tube angle. The frame has an upswept seat mast, which is meant to offer a spread-out riding position like an XC bike when the saddle is fully extended. When the saddle is dropped the seat mast location also helps move the saddle further forward, so there is more room for the rider to maneuver when descending. Other details include an internal routing system for derailleurs, brakes and dropper seatposts as well as a downtube bash guard that has integrated channels for external routing if the rider prefers. There are also a series of bottom bracket plates that work with the 73mm threaded BB shell. 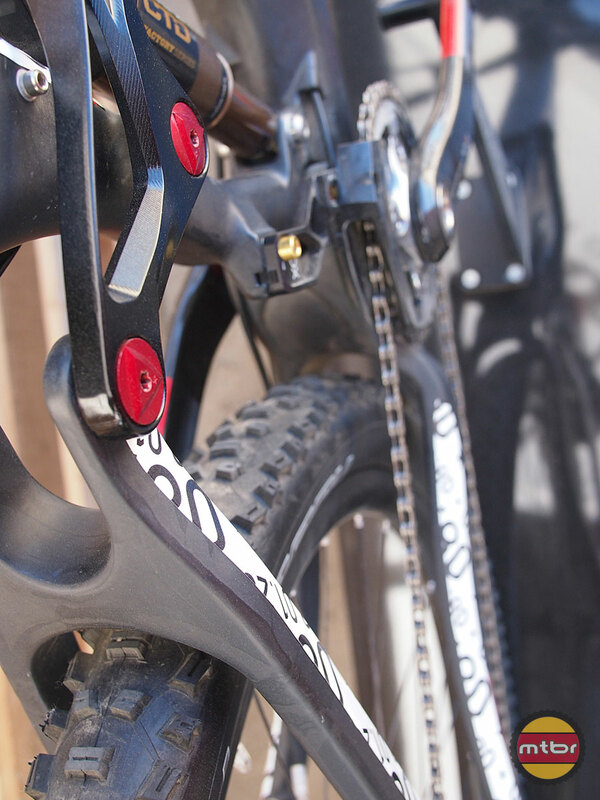 They are interchangeable, so riders with that ride with a single ring have an ISCG05 plate for use with chain guides. For riders who prefer a double set up the optional plate has two extensions that serve as a chain-drop guard as well as bash guard. 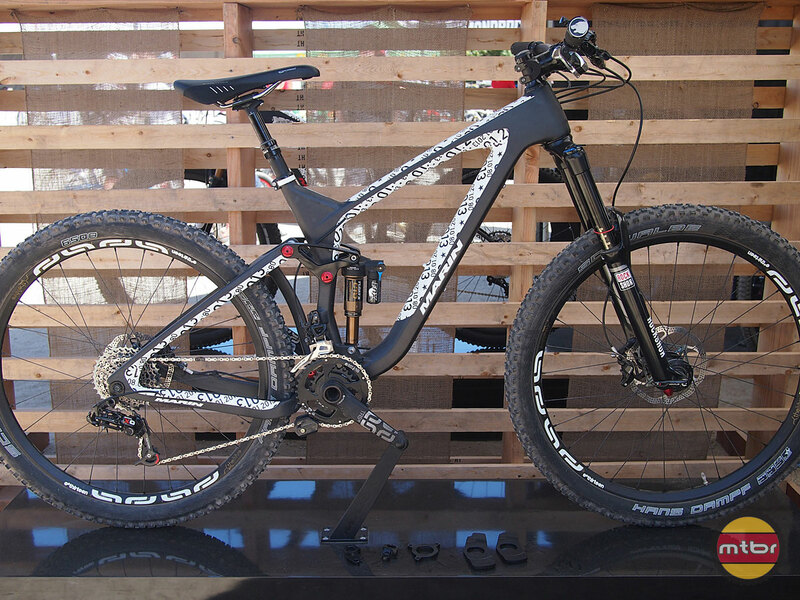 The display bike shown here at Sea Otter with an XX1 build and carbon-rimmed wheelset hits the scales at 25lbs with 2.35 Knobby Nic’s and Reverb dropper post. 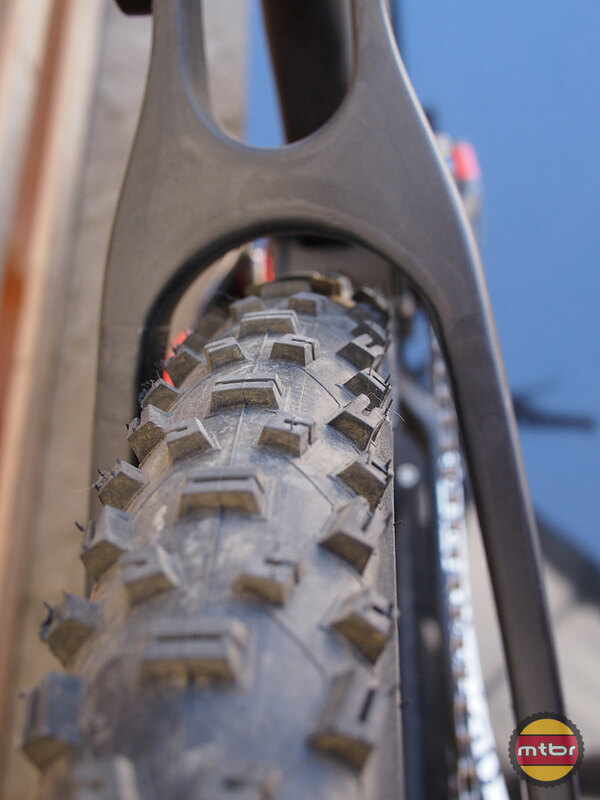 The 2014 Attack Trail gets similar updates as the Mount Vision, but is targeted for the All-Mountain category with a 150mm travel frame with a 160mm travel fork up front. 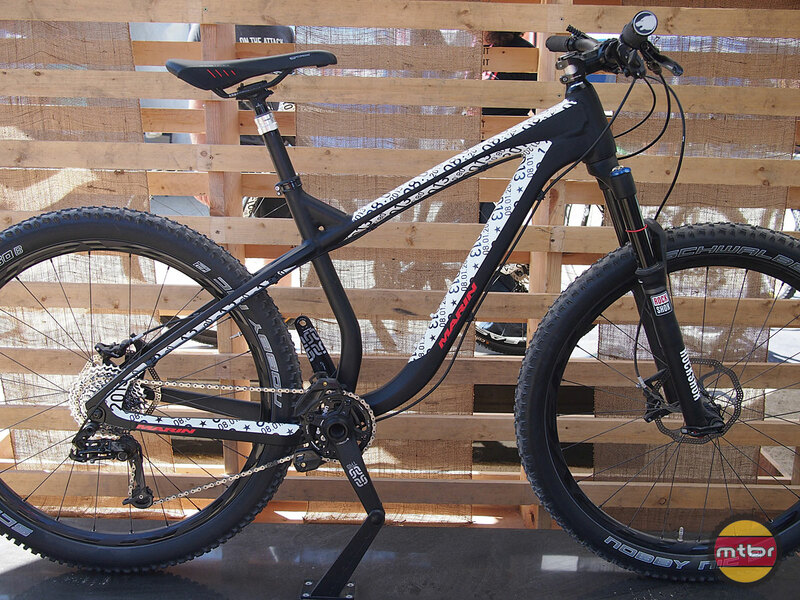 The bike gets an all-new carbon frameset rolling on 27.5″ wheels, with Marin’s Quad Link 3 handling suspension duties. 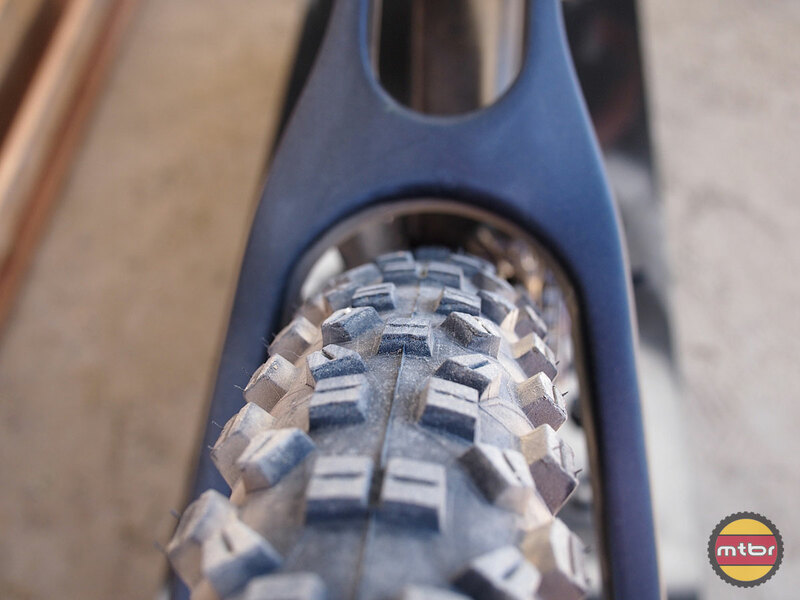 The six inch system functions like Marin’s previous multi-link bikes, with the rear wheel having an initial rearward axle path in the first third of travel before arcing around the BB at the last two thirds of travel and varying shock leverage ratio as the suspension compresses. 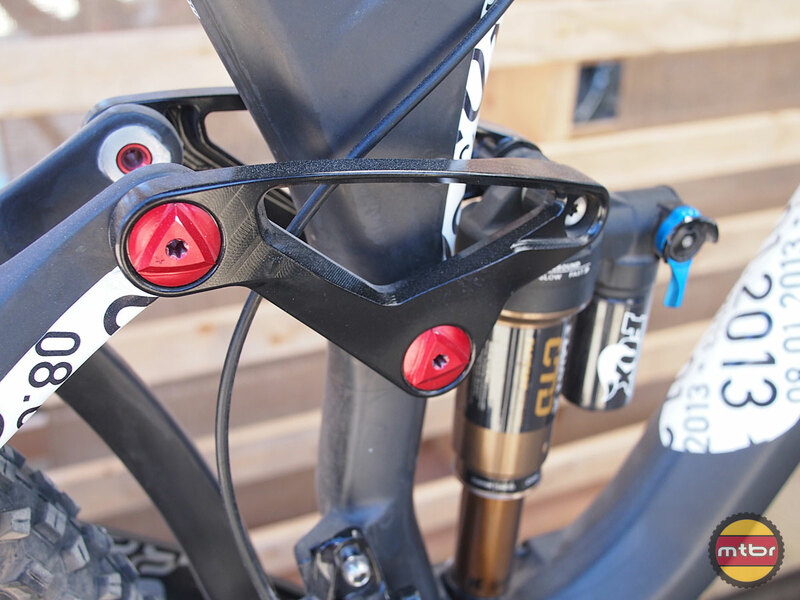 Like the Mount Vision, the frame will feature full internal routing with the option to run cables and housing externally with the integrated down tube protector plate. 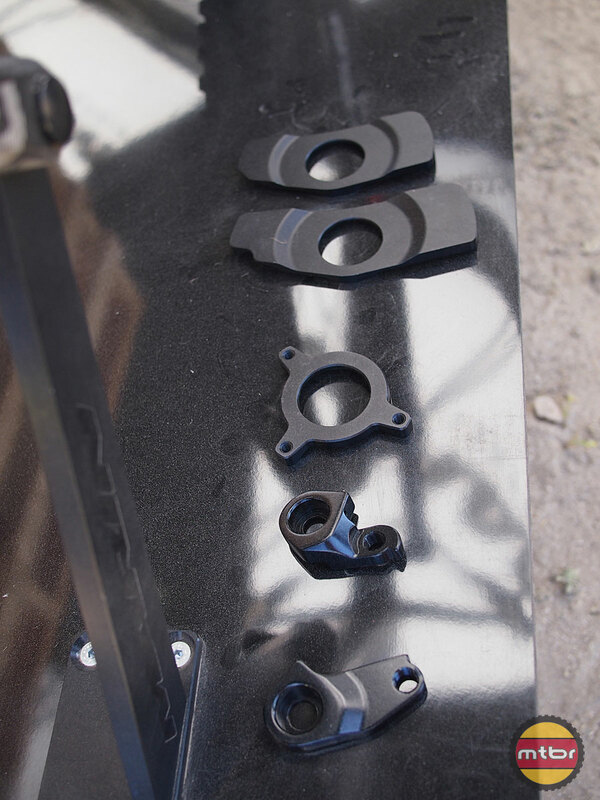 The bike will also feature a 73 mm threaded BB shell with use of Marin’s interchangeable BB plate system for use with single or double ring set ups with chain guides or derailleurs. The Attack will also feature the new seat mast system that offers an effective 74 degree seat tube angle at full saddle extension but help moves the saddle forward and out of the rider’s way when the dropper post is lowered. Head Tube angle is set a bit slacker at 66.5 degrees. 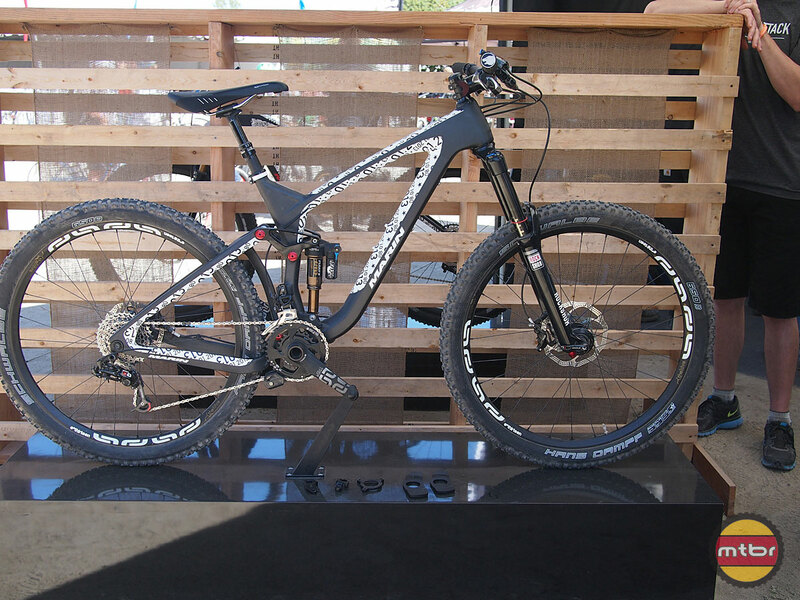 The bike on display at Sea Otter featured a SRAM X0 double drivetrain with Reverb seatpost and e*Thirteen cranks and wheelset with a weight of 27.25lbs.